The original Leaf Back design was introduced in 1947. It is one of the few Bicycle-branded decks that did not depict anything related to bicycles, wheels or transportation. The decks are poker size and have Bicycle's Air Cushion Finish. The deck contains 52 cards, two jokers and two advertising cards. 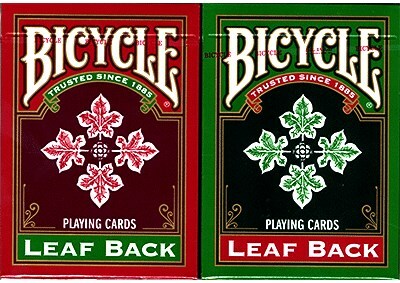 The card faces are standard Bicycle design and colors.